"Management capability is about applying management competencies to achieve desired results within an organisation. Strong management capability contributes to the strong performance of organisations." You have a choice: do what must be done right now, or think about what must be done very soon - and that could be in a year or ten years, or much longer. How do you treat your people, are they stuck in today or do you listen to them about tomorrow - and today! Too many companies are caught in the 'response to threat' syndrome, not exploration of the 'response to opportunity'. They are not listening to their people. Organisational capabilities come from the uniting of the competencies of individuals. Can you bring groups/teams together to work on the opportunities of the future - i.e. develop the organisation's capabilities? It is from capabilities (not just competencies) that we get safety, corporate governance, foresight, innovation ... all the things we most want from organisations! Successful people succumb to arrogance. They no longer listen, they know! Put them on the streets with the NFPs and community groups who have to work with the problems we create. Build their social conscience and thoughtfulness about how they proceed - thinking beyond just profit as the bottom line. - Leadership is taking people into the future. - Management is doing what has to be done today. Can leaders forget about Management, are they too good for that? No! Can managers forget about Leadership, that's not their job? No! The answer is, everyone in an organisation should do both. And when it's not your job to do the management, it is your job to see it gets done! Doing Leadership and Management at every level is Distributed Leadership. When you achieve that, you have an entire organisation taking care of the job as specified, and offering thoughts, ideas, contributions and effort for the future. They love it. Does that sum it up? Probably not, but it's a start. Want to see/hear more of Roger Collins? Click here. Of course, Leaderskill has a lot to say along these lines, and how you can get there, Click here. Have you noticed that news is becoming more and more politicised? Do you ever feel that you can't get an unbiased view of what's happening - just opposing polarisations? Well some people are doing something about it. They have gathered a group of well-qualified specialists to provide carefully prepared bulletins globally. They have had real support, even from the UN and from the UK government. Even newspapers - who can no longer pay for investigative journalism - are now taking up stories and spreading them widely! News like it used to be - and now is real again! This 3-Day workshop by Dr. Thiagi practices what he preaches! 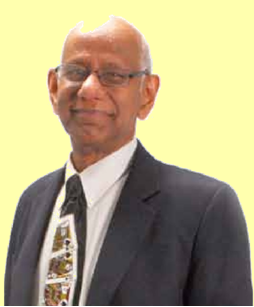 Dr Sivasailam (Thiagi) Thiagarajan has been the President of the North American Simulation and Gaming Association (NASAGA) four times, and of the International Society for Performance Improvement (ISPI) twice. Based on 30 years of field research, these design formats enable you to create training faster, cheaper and better. You will receive a hefty collection of training games during the workshop and have access to 2000+ web pages with additional games, activities, and facilitation tips. Learn how to engage learners by “gamifying” learning tasks and challenges. And receive an additional 10% Group Discount. Can you ‘make change last’? ... ‘YES again!’ And fast, and enjoyable! A process that is people-centred and involves the 'whole system', is engaging and enduring. People who feel good about themselves and others in their group commit to one another. Leave behind the ‘us vs them’ and generate the ‘we’. Participants will share their experiences as they learn how new and better, strengths-based, ways of leading change are spreading throughout the business world. As many are now experiencing, an exciting strengths-based model of positive change puts something powerful and full of life deep inside the heart of business and organisational change. It’s been called the ‘strengths revolution’, a new way to make change happen. Appreciative Inquiry (AI) and SOAR have sparked a movement that has profound implications for everyone keen to lead with hope and optimism, and manage sustainable, successful change initiatives – to win the future through the highest engagement of human strengths! AI is a body of work that focuses on developing an organization's positive core to inspire collaborative action for strength-based organisational change. AI has been recognized as the most innovative approach in Organizational Development in more than a decade. SOAR utilises the appreciative whole system approach to build strategic capacity. SOAR provides a structured focus on Strengths, Opportunities, Aspirations and Results. At the conclusion of this interactive one-day energizing session you will be equipped with new tools, new mindsets, and stories from the field that will make a difference in your work – and in your life. What you learn in one day can change everything. And if you think it's just for parents, think again. Works great in the office or any workplace, or with friends, relatives... It's better human relations, and that means greater success and happiness in life. Worth it? Certainly is. It was Parent Effective Training (PET) that started me on my way, and the same with my children. Low cost, huge return. And you will find bits of it in all of our work. Best wishes to you. PS: 7 million have gained from PET. Gordon Training International is the overall organisation, worldwide, centered in the USA. Polly Higgins, international human rights lawyer, is encouraging the UN to acknowledge the fifth crime against peace - ecocide. Ecocide? Yes, killing the environment/ecology. When this happens, in most cases it leads to war. Once this is recognised as an international crime, it will be possible to indict the individuals concerned and make them uncomfortable. My recent outburst against the destruction of Australia's water through the mixing of it with pollutants from coal seam gas and fracking would fit very neatly as ecocide, unfortunately. Unfortunate because it's our 'Eco' that would be dead. To avoid the horrors of Ecocide and still make money - try Mega Planning. There seems to be a widely held view that Corporate Social Responsibility (or CSR) is about sacrificing earnings in order to be 'a good corporate citizen'. There is another view that ought to be heard more: it's about how organisations can thrive in a rapidly changing world. How far are we prepared to look into the future to guarantee our profits long-term? As opportunities, we can involve our whole workforce, our clients, our suppliers, all of our stakeholders in how to have less impact on the ecology - and achieve a new round of profitability. That's Mega Planning. Start from the future you want (it will surely include no-pollution, won't it?) and plan to operate that way in the shortest time possible. Once the decision is made, the effort to fight off the needs of the future is eliminated and you are free to put your creative energy into new ways, more profitable ways, to change. Doesn't every manager have a customer or two, whether inside or outside of the organisation? The 360 Leader/Manager Surveys™ are loved for the way they encourage managers and their teams to get together and deal with the issues confronting them. But these questionnaires don't necessarily cover the interests of clients, especially external. Usually, the manager doesn't meet regularly with them. Many of the things managers do just don't apply. How then do we get their view as part of the 360 degree feedback? To get the customer's view, we add on to the L/M questionnaire some more questions - perhaps 10, perhaps more - that capture the essence of what the customer wants. Now we have a full picture of manager and team working together - and supporting their mutual customers! Not so Happy this New Year so far. The news, of course, concentrates on the devastation and and great rescue effort - and all power to them for keeping us informed. But how did we let this happen? Please let's start to think ahead. The other issues behind this are around our risk-taking behaviour (motivated by financial gain) and our unwillingness to realise that '100-year' weather events must now be expected more frequently. That's Global Warming again. Risk-taking: we build housing on flood plains where it's only a matter of how soon, how much. And we deforest the surrounding hills so that the majority of rainfall now becomes run-off - which becomes flooding. The solution: it's very long-term, hence not popular with politicians of the populist variety. We need education. Help people to understand, then they will elect politicians who dare to tackle the problem. Except Mega Planning. Everything becomes possible once you factor in the future. Start everything you do from a Vision of the future. It's not hard to plan this way. It doesn't negate the planning you've been doing, but it give you a framework to evaluate it and find a better way forward. And it doesn't cost much - a lot of the material is open-source. People are gradually wiseing up and asking for this forward-looking approach. Get in ahead with Mega Planning and lead the way. Especially in the re-building phase in Queensland. Let's not build the whole catastrophe over again and wait for it to happen! Because it won't be 100 years. Much less.